You are browsing the Blog for Massachusetts. 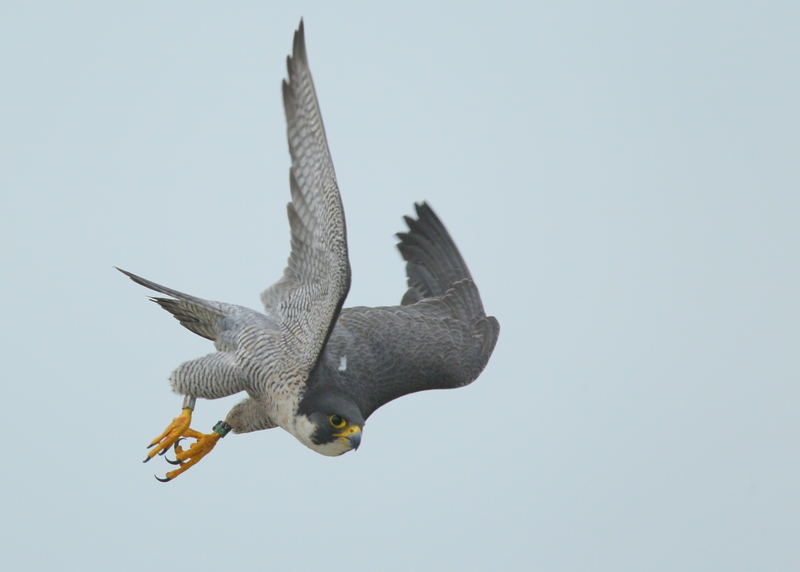 July 9, 2013 in Peregrines at 250 Canal St. The mother peregrine continues to keep a vigilant watch over her offspring. On this overcast afternoon in just after July 4th, she remains on a regular roof corner and then chases off a nearby passing predator threat. Returned to the Heron Rookery located on the West Boxford/North Andover town line on Saturday morning. The weather was spectacular with bright sun, clear skies, warm temps, and a soft breeze. On my prior visit, had a chance to locate the Great Horned Owl on nest in one of the white pines. 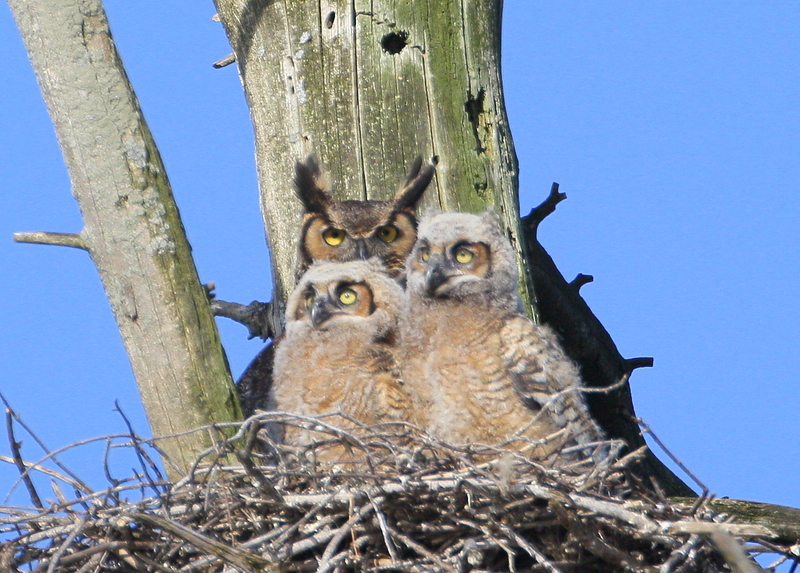 On Saturday, my hope was to view and possibly photograph the mother and the owlets. With God’s grace, the morning was a blessing beyond description! At first, just the mother and one owlet appeared. The mother then flew a few times in and out of the nest into nearby dense vegetation. This provided opportunities for some nice flight images. Then the second owlet appeared. The mother then spent some time on a nearby perch. She seemed to be searching and scanning for prey. She then returned to her bambinos and they all nestled together. That was my cue to leave them be and hit the gates! For those with an interest, a series of photos are posted online for further viewing: http://www.pbase.com/birdshots/image/142722800 Click “next” in upper right corner to advance frames! Carter Fields is located in an area with a significant base of conserved land owned by the town of North Andover, including the Mazurenko Farm (104 acres), Carter Hill (27 acres), and Barker Hill (55 acres). All of these parcels and Carter Fields are part of the Lake Cochichewick watershed, North Andover’s sole source of drinking water.